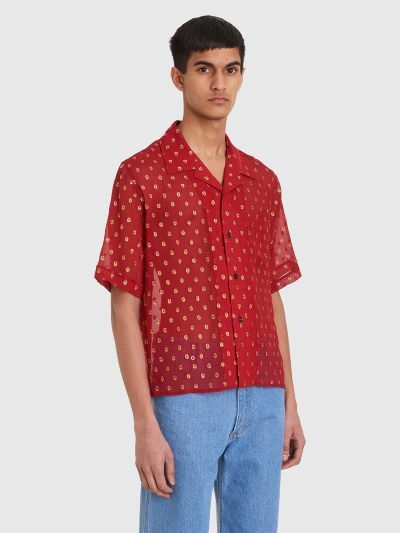 Shirt from GmbH made from a sheer silk fabric with embroidered gold pattern. 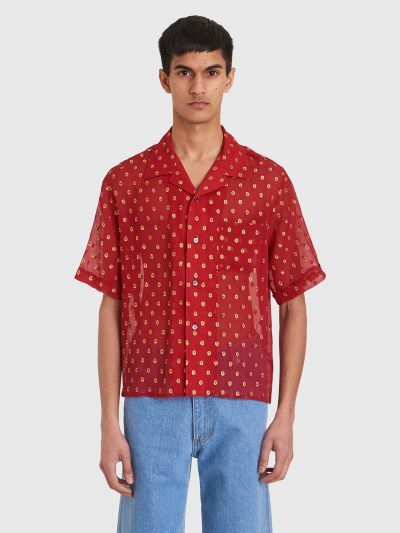 Features a bowling collar, front button closure, a single chest pocket, back yoke with twin pleats, short sleeves and a straight hem. 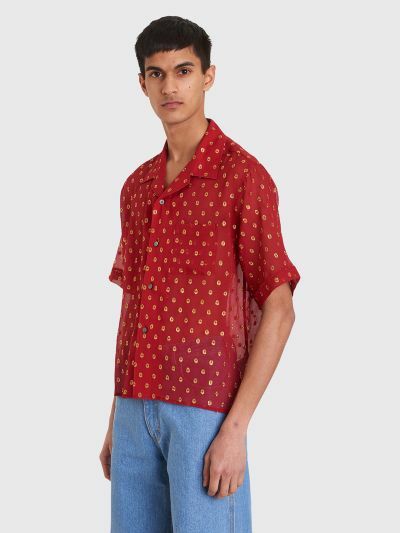 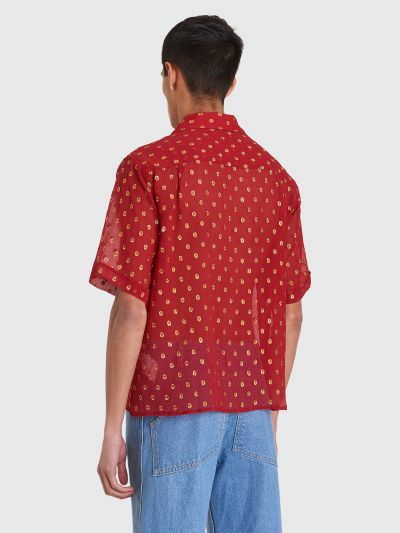 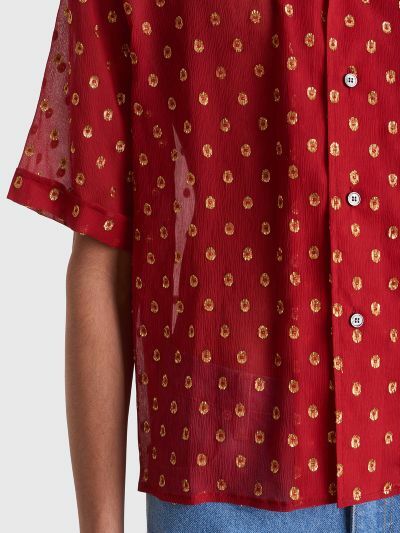 Red and gold shirt. 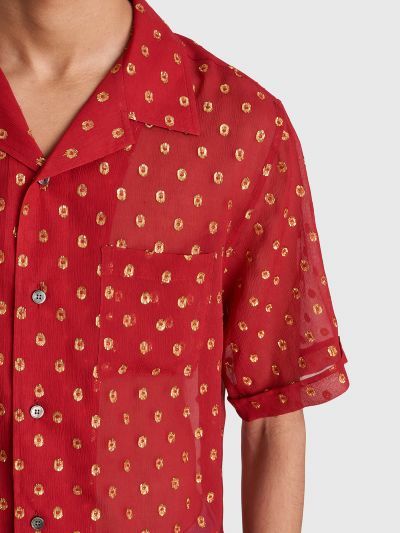 Made from 100% silk.